This morning I went to my usual yoga class run by one of the experienced teachers, an elfin woman who makes each class interesting and rewarding and finds new ways of teaching and extending us every week. Many of the other classes I go to if there is background music, it is Indian, not really to my liking and I frequently find myself thinking I am listening to barnyard or engine noises. My elfin teacher however has different ideas. Today she was playing the most beautiful cello music and included in the collection was Piazzolla. 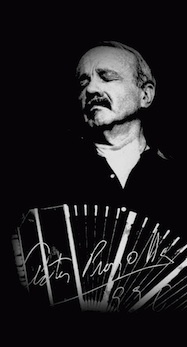 I love to listen to Piazzolla - I generally find I don't enjoy dancing to his orchestral music. However doing yoga to his "Quattro Stagioni" is something completely different - and quite another world experience. 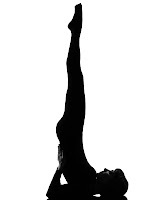 I close my eyes during yoga just as I do when I dance. Both yoga and tango give me energy - they provide me with a way of getting in touch with my body and my soul. From now on I will be doing my home yoga practice to a little Piazzolla!